White is a symbol of purity, and most of us have ample whites in our wardrobe. They look great, can be paired with any colour and add an air of elegance to one’s persona. Sure, they look fab, but ensuring that the whites stay sparkling can be a daunting task. Whites tend to turn grey or yellow, especially in areas exposed to sweat, such as armpits. What worse faux pas than wearing a white shirt with ugly stains on it? 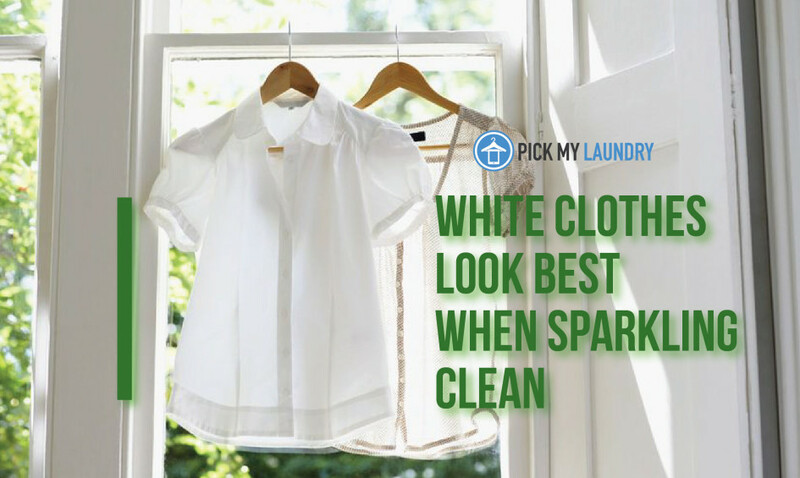 To keep those whites as good as new, there are a few things to keep in mind while washing them. First of all, frequent washing of whites is a good practice. Secondly, they must never be washed with colored fabrics, as the color can run into your whites. If there are any stains, remove them before actual washing. Add natural bleaches, like white vinegar, lemon juice or baking soda to the wash cycle, in case of machine wash. For hand-wash, add a diluted solution of any of these when you soak the whites. Use hot water for soaking. You can even pop in a couple of aspirin tablets in the soak tub or spray the laundry with a kitchen cleaner and then wash them. Rinse out the whites completely to get rid of dirt that may discolor them. If it is sunny, dry out whites in the sun, as sunlight can actually liven up the whiteness. Remember to clean your soak tub or your washing machine regularly to make sure it does not pass any residual color from previous washes of colored fabric onto your whites. You can run empty express cycles in your washing machine with detergent for this. Your washing tub must also be thoroughly clean – use vinegar. Taking a little bit of care can leave your whites bright and sparkling clean…and you, more confident!